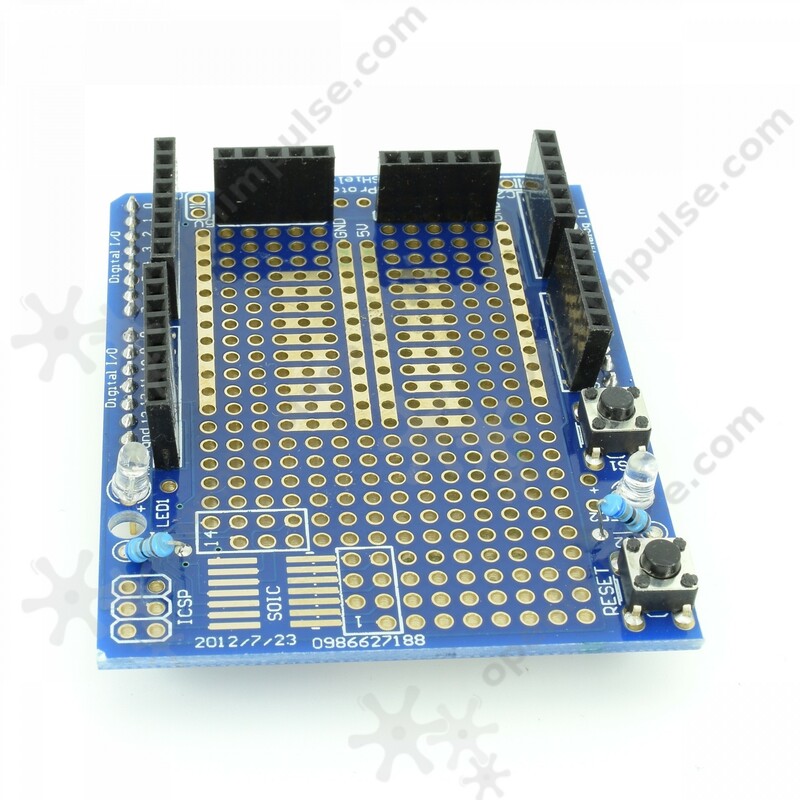 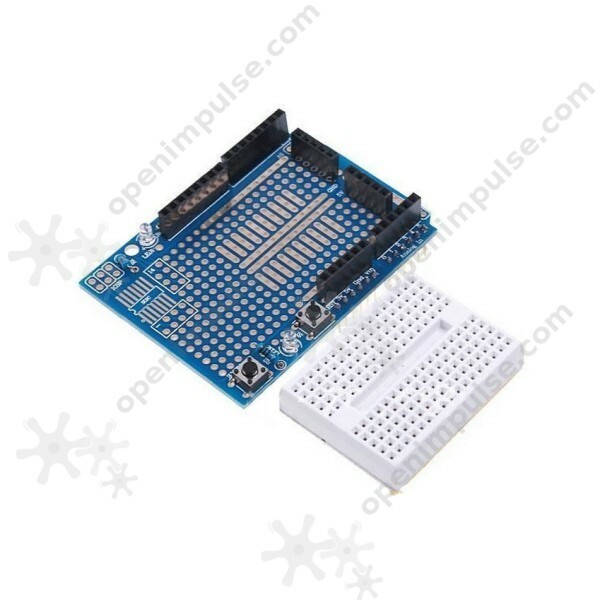 This proto shield for Arduino allows you to conveniently build circuit prototypes either by using the solderless breadboard or by soldering components on the prototyping board. 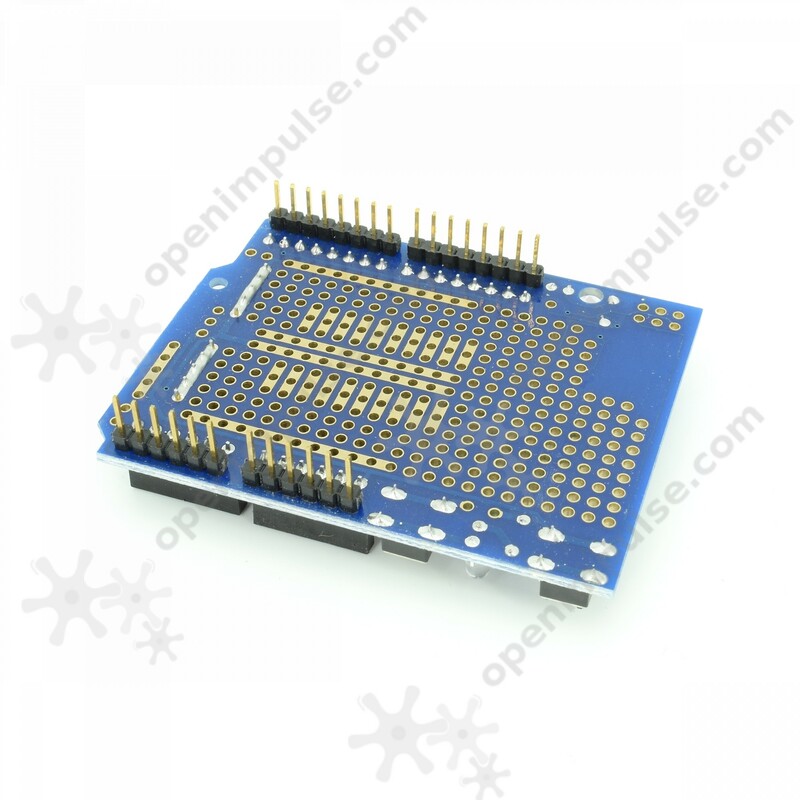 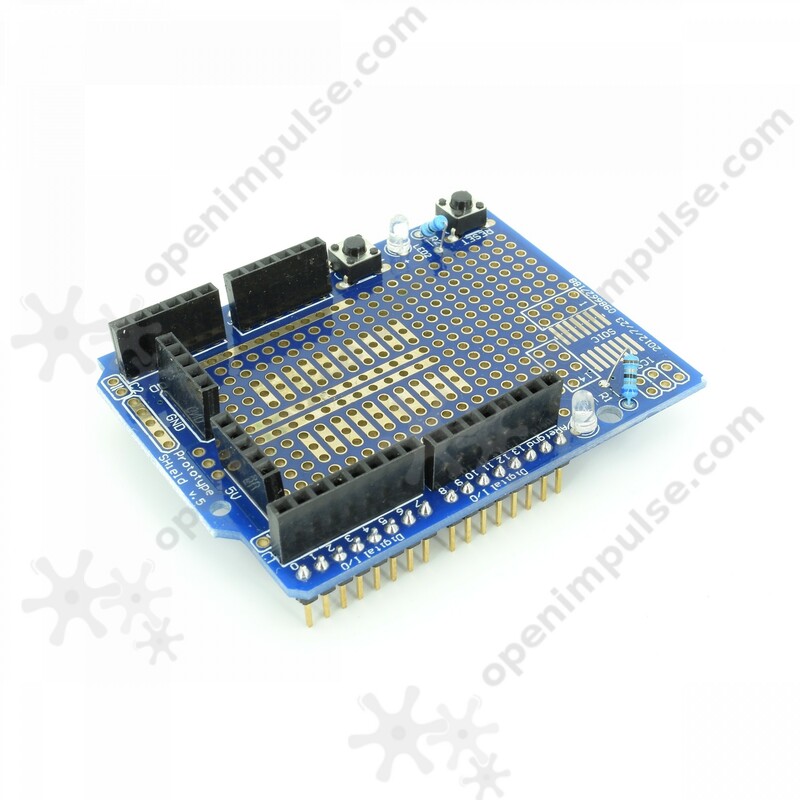 The ProtoShield expansion board can be used in conjunction with Arduino Duemilanove and other Arduino compatible boards. 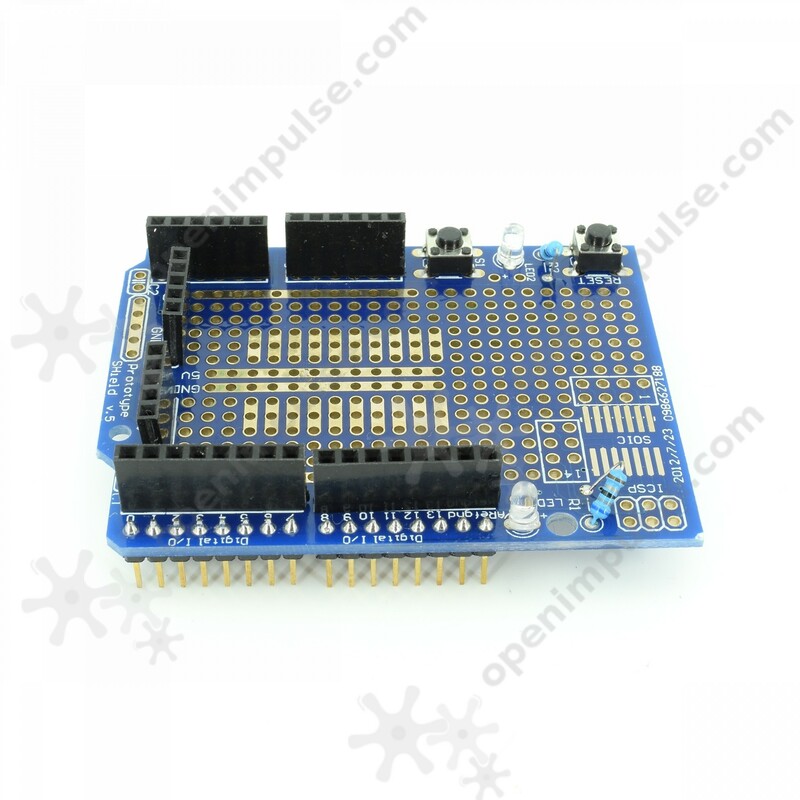 It features two LEDs, two push buttons, and all pins have been drawn out for convenient usage.